Those who really know the Galapagos Islands generally give the same advice; the best way to see the islands is on a live-aboard cruise. There are many benefits including the chance to see more Galapagos Islands with their unique species, comfort, value, adventure, great food and facilities and more, however; many people who have gone on this trip say that there are some things to consider before you go on the trip, one of them is the necessity of having water always around because of how hot it is. Every year, thousands of visitors select a cruise ship from the dozens working in the Galapagos archipelago to book their once in a lifetime trip. But not everyone knows what to expect. And who wants to buy a pig in a poke? 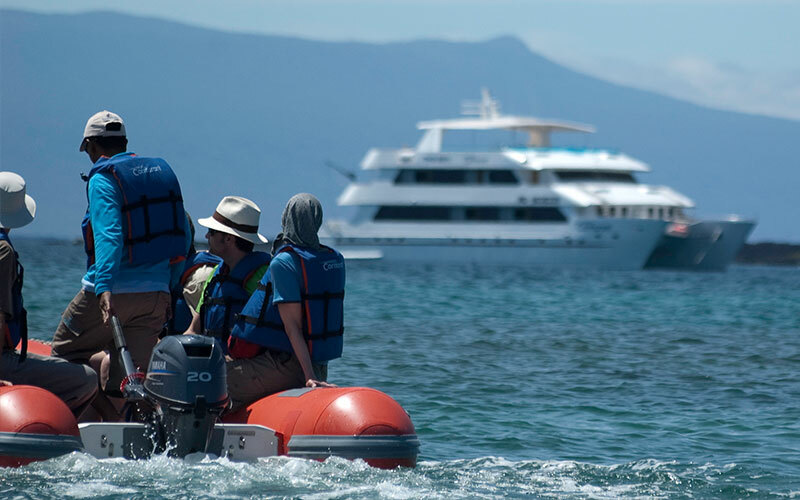 For letting you know what awaits you, here is a typical day for a passenger on a live-aboard Galapagos cruise! The day begins early in the Galapagos, as there is much to see and do! During the night, the ship moved to where it needs to be and calmly anchored in front of the sight, which is on the schedule for that morning. Passengers will usually get a wake-up call about sunrise and have at least an hour to shower, dress and go to breakfast. The food is usually served buffet-style and includes something for everyone, like eggs, bacon, cereal, yogurt, fresh fruit, and juice. Of course, there is plenty of coffee to wake everyone up! As you strengthen yourself for an amazing day, the guides begin loading the pangas for the first tour of the day. As being told the evening before (see “evening”), it’s either a “wet” or “dry” landing. If it’s wet, passengers will have to get out of the pangas in about ankle to knee-deep water and walk onto the shore. A dry landing means you won’t get wet. A morning visit can include a hike up to a viewpoint, some snorkeling with sea lions and penguins, a visit to the beach, or even a panga ride through an interesting area like a mangrove forest full of animals. 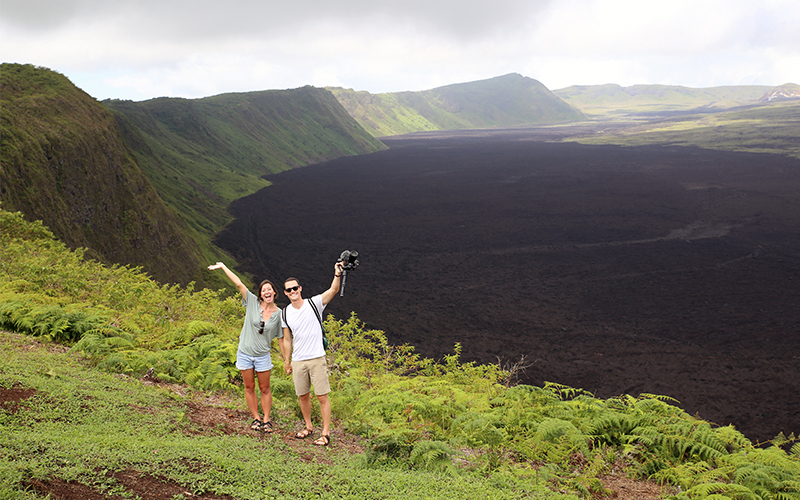 The guide will point out all of the interesting and unique Galapagos species and history! 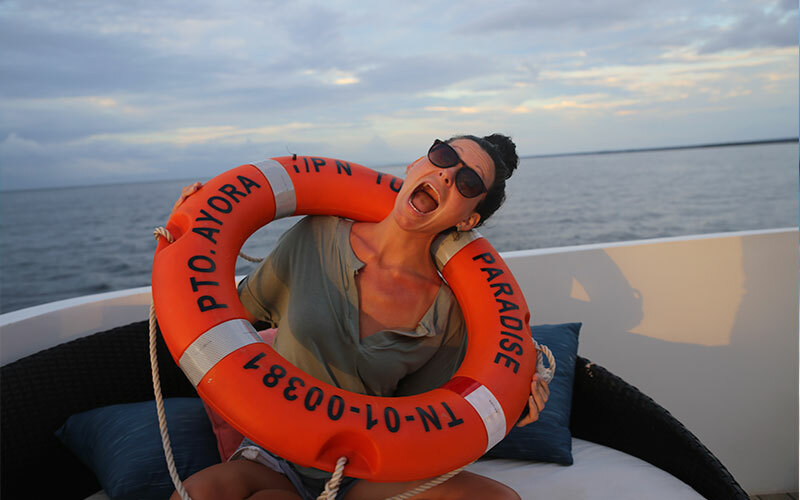 This assures, that you will learn a lot about the Galapagos and don’t happen to oversee an interesting animal or plant – which is likely to happen due to the abundance of mesmerizing species! After returning from your first trip, you will have some time to process all the impressions you got in the morning and relax while having lunch. Like breakfast, it is often served buffet-style. 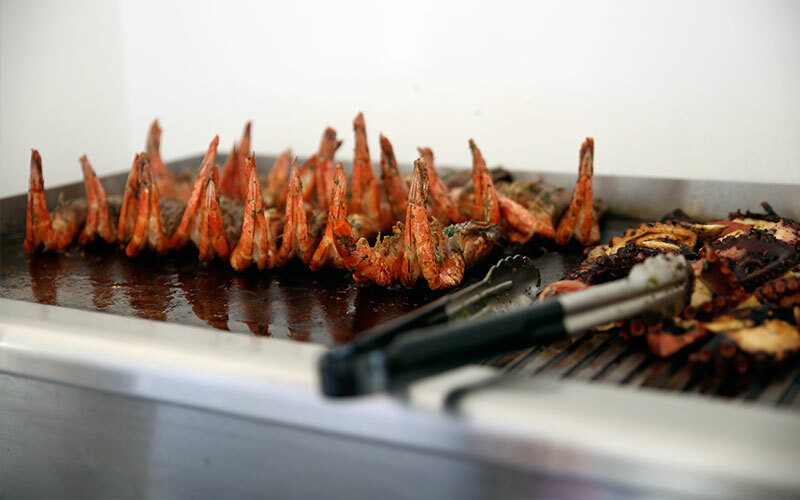 Most Galapagos ships take great pride in their food so that lunch can include anything from soups to main courses, salads, desserts and side dishes. 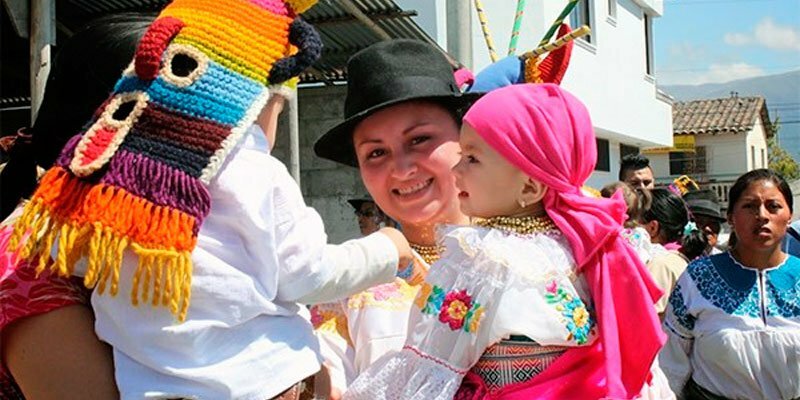 Often, there is fine seafood or international dishes, but you also might have the pleasure to relish on local Ecuadorian food. During and after lunch, the ship will move into position for the afternoon excursion. You will usually have a couple hours time to take a nap, write postcards, read a book, etc. On the better cruises, naturalist guides will often offer an optional talk about some aspect of the islands, such as geology, history, Charles Darwin’s visit and theories, marine currents or other interesting topics. After some relaxing hours, you will get ready for the afternoon excursion. Just as in the morning, the naturalist guide will round up the guests and take them on the tour. 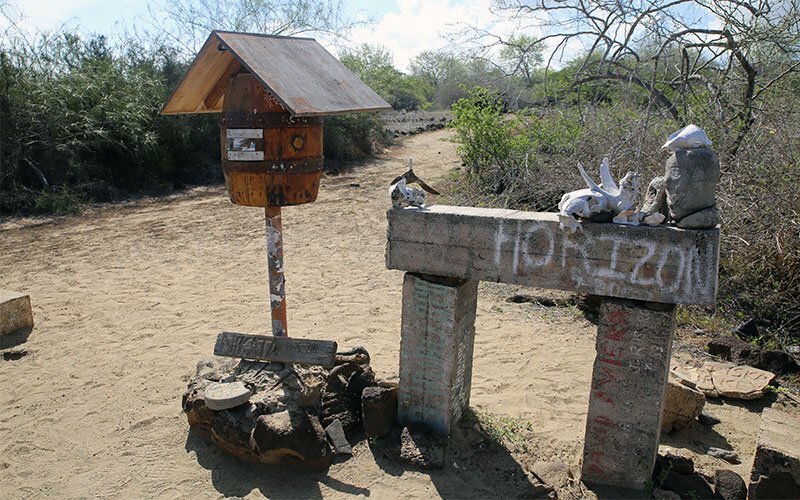 This, again, might be hiking through the highlands, snorkeling with tortoises, visiting the sea lions and iguanas relaxing at some nice beach, a panga ride around an island to get as close as possible to nesting seabirds or whatever else is on the schedule. To make sure, that no one carries any seeds etc. from one island to another, you will wash away any dust remaining on your shoes before entering a new island with its new wildlife. When returning from your second excursion, you already might be quite hungry again. But don’t worry, you will soon relish tasty dishes. Dinner may be a buffet, but on some cruises, guests will select from a menu at lunch time and the dinner they chose will be ready for them in the evening. 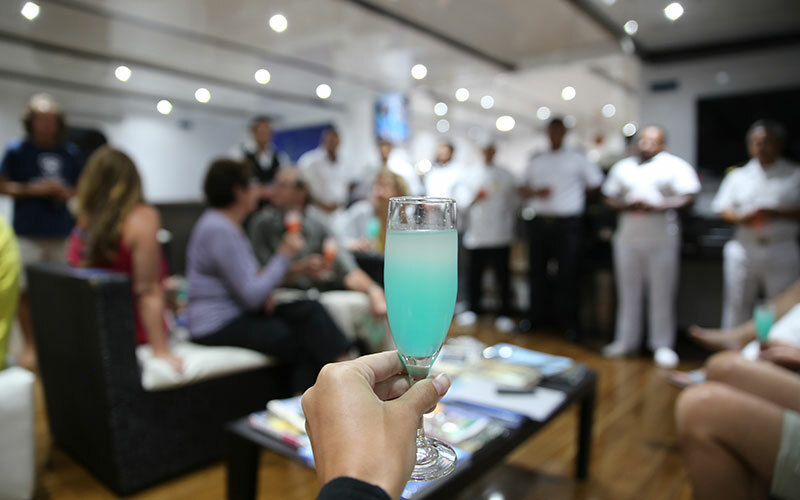 Most cruises offer drinks, although alcohol and soft drinks usually have an extra cost. After dinner, the naturalist guides will talk about the plan for the next day including practical information like the type of landing, what to wear, the difficulty of the hike, etc. If guests are leaving the next day, the guides will tell them what to expect at the airport, how to pay their bar tab and other useful information. After the briefing, many guests like to enjoy a drink and socialize getting to know each other and talking about their impressions of the day. If the ship is in port, you may be lucky and musicians and/or dancers are invited aboard for the enjoyment of the passengers. Though many guests are exhausted from the exciting day’s excursions and choose to go to bed early to rest in order to be fit for the next day! While you are sleeping, the yacht will carefully bring you to the destination of the next day, where you will enjoy more adventures, more geological stunning places and more partly endemic animals and plants. 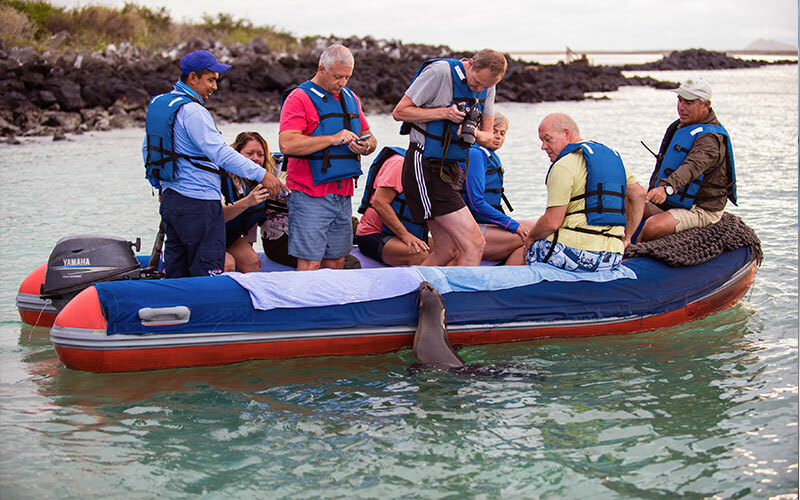 Every new day in the Galapagos brings a brand new adventure, new emotions, new discoveries, booking your Galapagos vacation will not only help you the world with new eyes but will also turn you into a storyteller about a destination where you will always want to come back, The Galapagos Islands.